Should I use my real phone number for Tinder verification code? If you are a new Tinder user, you will notice that you're asked enter a phone number to receive a Tinder verification code before you can complete your account registration. You may be wondering at this point- Should I enter my real phone number for Tinder verification code? Is this something safe to do, or do I have any other options to use another number or bypass this step? Why is Tinder Verification Code Necessary? 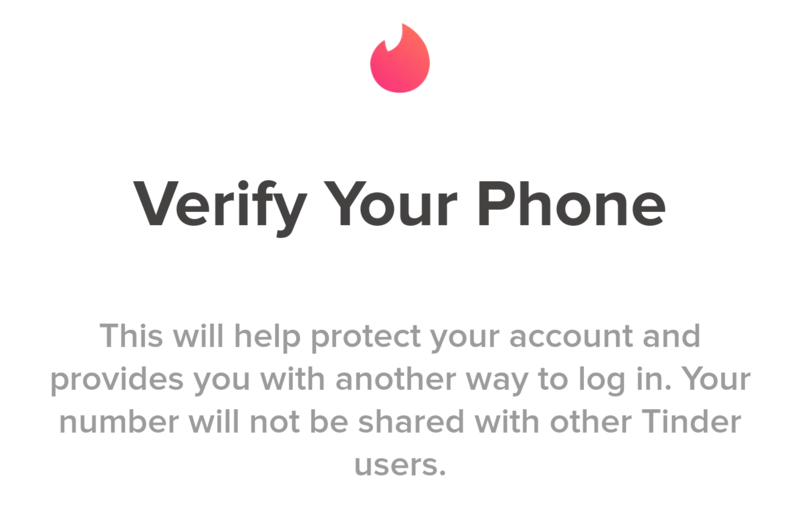 Tinder phone verification is a mandatory step in the account registration process. It is not possible to use Tinder without a phone number. We would say that SMS verification a necessary evil. By forcing every user to verify a real phone number, Tinder forces each user to prove their identity by associating their account with a real world phone number. Dating apps need to verify the identity of a real person to reduce risk in fake profiles, dating robots & scammers, and from other illegal use. Why is this good? Tinder is one of the top social dating apps today. With over 50 million registered user, and with each user opening the app about 11 times a day. Having Tinder verification with real phone numbers mean more real human users on the site, as well as higher quality matches, and a more positive experience overall. Using your real phone number has it dangers, and we suggest that you do not do so. You do not really know what Tinder will do with your your phone number, nor whether your phone number will be sold or shared with any third parties. Many services have been known to share or sell phone number lists with telemarketers. If you have been receiving spam calls, it is likely that your number is sold to third parties in a phone number list. Can I use Tinder without a real phone number or bypass phone verification? There is no a way in Tinder to bypass SMS verification or bypass Tinder phoner verification at this point of time. The good news is you do not actually need to use your real phone numbers with Tinder. If you want to sign up to Tinder without a phone number, is the nifty trick to use something like a second phone number or temporary phone number. Second phone numbers are not only effective as fake phone number for Tinder, but can even be used for calling and texting strangers and people you do not trust. Google voice offers free working phone numbers that you can receive texts and calls at. Getting a Google voice number can get slightly complicated. You will need to, download Google Voice app, link your phone number, and select a Google Phone number. For more detailed steps, see our guide here. 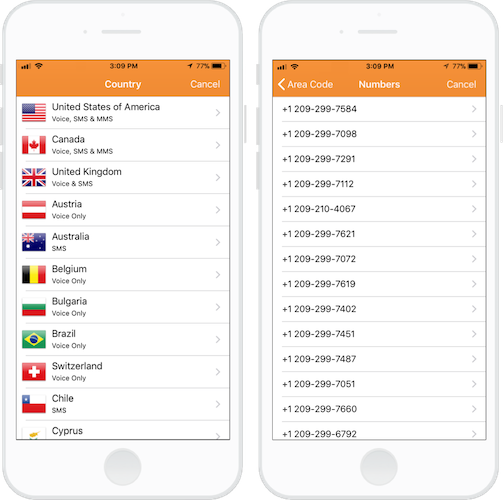 The easier option here is to download a second phone number app like Phoner, and choose a phone number from over 35 countries and 50 states. By entering a second phone number or a fake number for Tinder, you get to avoid your real number being shared with telemarketers or even become a victim to identity theft.